The finding shows that oxygen can be generated in space without the need for life, and could influence how researchers search for signs of life on exoplanets. 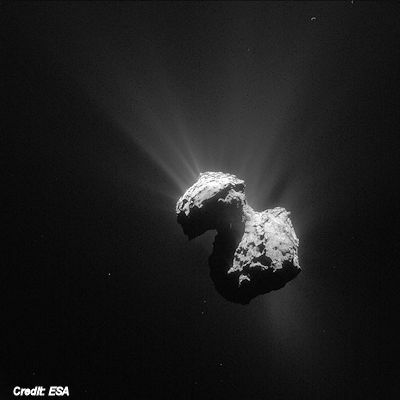 In 2015, scientists announced the detection molecular oxygen at Comet 67P/Churyumov-Gerasimenko, which was studied by the Rosetta spacecraft. It was the “biggest surprise of the mission,” they said — a discovery that could change our understanding of how the solar system formed. Do Comets Plant The Seed of Life?